Choosing the right hot tub can be overwhelming if you’re not sure what to look for. You’ll want to consider what makes a particular hot tub the right choice for you, as well as the costs of running a hot tub. You’ll also want to gather info about hot tub financing. The experts at LPH&H can help you choose the perfect Bullfrog Spa to fit your particular needs. When you buy a hot tub, there are several factors you should consider. Take some time beforehand to think about what you need from your hot tub so you are ready to make the right hot tub purchase. Check out our tips below and find more information in the Bullfrog Spas Hot Tub Buying Guide. The first thing you want to think about is where you will be putting the hot tub and how much room it will need. Measure the area where you plan to put the hot tub to get an accurate idea of what size of hot tub will fit in your space. Then consider how many people will be using the hot tub, and include that many seats in your hot tub purchase. The next factor you need to consider is whether you or a family member has specific therapeutic needs that can benefit from strategically placed jets for the back, neck, or legs. Your hot tub purchase will also include optional add-on accessories like audio or remote features. Decide ahead of time which of these you are interested in so you don’t miss anything, or get something you won’t use. If you plan to use your hot tub often or for many years, it is probably in your best interest to invest a little more for a high-quality spa that is built to last. In addition to the initial purchase cost, you may be wondering how much of an investment is involved in owning a hot tub. The list below covers some expenses you should be aware of. Energy Usage: Make sure you buy a hot tub with full-foam insulation to save on energy costs. FYI, Bullfrog Spas is the leader in energy efficiency, with an estimated monthly cost of $11.81. Other brands can be as high as $18.80 per month. Cover Replacement: As your cover begins to wear out, usually between 4 and 6 years after your hot tub purchase, you will want to replace it. The cost of a new cover is roughly $500. Filter Replacement: Filters are around $45 each. There are several benefits to hot tub financing, including the ability to split up the payment over time and allowing room in the budget for accessories and upgrades. This way you don’t settle for less than you were hoping for. Learn more about some of the financing options available below. A HELOC uses equity in your home as collateral and operates as a credit card with a maximum limit. HELOCs are popular for home improvement projects, like adding a home spa. This option also uses the equity in your home as collateral, but is set up as a traditional loan, with a certain amount withdrawn and repaid in a set amount of time. Personal loans are often easier to acquire than home equity loans because they do not involve using your home as collateral. However, rates are often higher than home equity loans. Many hot tub dealers have established working relationships with lenders and are able to quickly and easily process direct financing for you. This can be completed during your purchase with no waiting period. 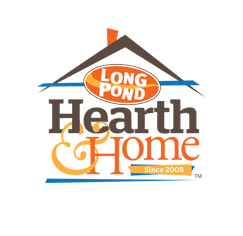 LPH&H has easy financing solutions to make your hot tub purchase seemless! Want to learn more? 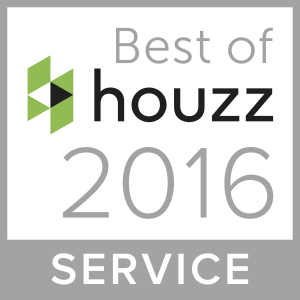 Contact us today to chat with one of our hot tub experts.